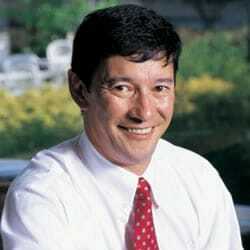 Ken Wong is an award-winning professor and frequently cited marketing authority. He is a Professor of Business, expert in marketing and business strategy, and co-author of Canada’s largest-selling introductory marketing text, Basic Marketing. A frequent speaker and facilitator in conferences and executive development programs around the world, Wong has worked with hundreds of organizations, from multinationals like Microsoft and GE to small startups. His message is simple: No matter what the industry, all firms face some common challenges in achieving their goals. His message is both strategic and tactical, factual and motivational, serious and lighthearted. Beyond teaching at Queen's School of Business and being one of the schools’ principal architects, he has also taught in degree programs at Cornell, Carleton University, Radcliffe College and Harvard’s Continuing Education Program and various executive programs. As a teacher, Ken has received numerous awards for his courses in strategic planning, marketing and business strategy including the coveted "Leaders In Management Education" by the Financial Post. Most recently, he was named a 2006 Inductee into Canadian Marketing Hall of Legends for his career efforts at "providing others with the opportunity, inspiration or ability to pursue excellence in the Canadian Marketing environment." Ken has a regular column in Marketing Magazine, anchors a regular feature in the National Post and is one of Canada’s most frequently cited authorities in media coverage of marketing issues. At a time when price cuts are destroying profitability and it seems everyone is cutting back, Ken shows conclusive evidence that some firms not only succeed in recessionary times but actually thrive. More importantly, he discusses the things they do - and don't do - that generates this performance and, drawing on his experience across a broad cross-section of businesses, Ken customizes those principles into practical examples that will leave you thinking about new directions and new opportunities available for your business. Learn the four major sources of profit drain and how you can address them. Learn how to augment your product or service with auxiliary features and services that not only add value for clients but also provide a basis for superior price realization or lower cost of service. Learn how to present your value proposition (the six alternative basis for presenting ideas) and how to determine whether to brand at the product, category or corporate level. (Note: customized version for High Technology products and services is also available). Learn how and why marketing has moved from the so-called 4P’s to a more integrative and interactive discipline. Much has been made of the promise and potential of relationship marketing. However, recent evidence suggests that many organizations "talk" a better relationship than they provide, even though they may be spending thousands of dollars on new technology and programs. Why? Because they forget the basics: why we do it, how we do it and how we know whether it’s working. Find out how to avoid the most common problems in pursuit of superior customer relations. A primer on the basics of branding and a case study (with videos) of the development of the McDonald’s brand and how McDonald’s became "a victim of its own success"
Learn the three key distribution objectives, how to prioritize them to reflect your overall business strategy, how their relative emphasis impacts on other decisions and how deal to channel conflict. Marketing is most often associated with how we communicate and deliver value to customers. However, most organizations fail to use the same principles and concepts when communicating with their own employees. Learn how to use marketing to insure that "promises made to customers are kept by employees". Strategy is about taking control. However, there are market and competitive forces that shape the nature and extent to which control can be exercised. Some of these forces are unpredictable while others emerge in a more-or-less predictable manner. Learn the predictable changes that occur over the lifetime of any product or market, the forces that make them occur, the actions that can be taken in advance of their arrival and the reactions that can used after their arrival. In addition, learn the pattern of industry financial performance that usually accompanies this evolution and see why business strategies and corporate priorities may not always mesh.